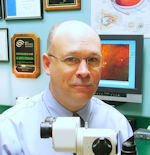 As a 3x graduate of the Ohio State University (including two degrees from OSU Optometry) and serving as the current Associate Professor of Clinical Optometry at the Ohio State College of Optometry, Dr. Zimmerman sometimes cannot believe that he is ‘now on the other side as an instructor at one of the best colleges of Optometry in the country.’ Alongside his wife Amanda (also an OSU alum) and their two young boys, the Zimmermans are a proud Buckeye family. As the Senior Director of Professional Strategy for Alcon, Dr. Carla Mack (OD’95) believes that “patient satisfaction and empowerment due to technology and social media are huge opportunities for optometrists.” Dr. Mack credits her experience serving as the Director of Clinics for The Ohio State University College of Optometry as “the most rewarding work I’ve ever done,” and is thankful for friendships that she has maintained throughout the years. 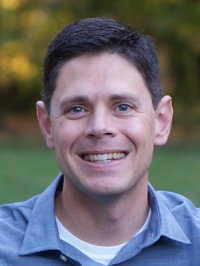 As the owner of River Country Eye Care in Three Rivers, Michigan, Dr. Adam Goff (OD’10) credits his experience at The Ohio State University College of Optometry for preparing him to tackle all challenges of the optometric profession. “The clinical and classroom education I received at OSU prepared me well for my career. I can’t imagine having attended another school.” Dr. Goff is grateful for the lifelong friendships he made with his classmates, and stays connected to his alma mater through social media, alumni publications and by attending national conferences. Drs. Kerry (OD/MS’00) and Brad (MS’00) Giedd are grateful for the relationships they built at The Ohio State University College of Optometry – most notably their marriage! Now practicing in Florida, these Buckeye alumni enjoy rewarding careers that combine patient care, research and consulting. Best of all, their optometric careers have allowed them to achieve work/life balance. They enjoy spending time with their family – especially at the beach – and volunteering locally and on mission trips. Attending alumni receptions at national optometry conferences allows them to catch up their former classmates, and they also stay connected to their alma mater thanks to Central Florida’s strong Buckeye alumni clubs. Dr. Beth Muckley (OD’97) traces her interest in eye health back to her childhood, as her brother had strabismus and she wore glasses. She notes that when she received her first pair of contact lenses in middle school, "it changed how I felt about my appearance and I knew I wanted to do the same for other kids." 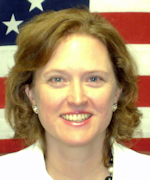 Today, Dr. Muckley is the acting Director of Optometric Services at NE Ohio Eye Surgeons, where she sees about 45 patients a day and still has time to supervise externs from college. Outside of the office, she serves on the Board of the Ohio Optometric Association, volunteers with the American Academy of Optometry and Optometric Glaucoma Society respectively, and finds the time to tend to an extensive fruit orchard in her backyard. 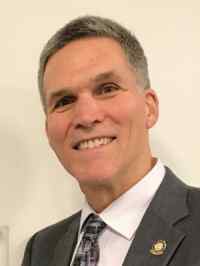 Dr. Daniel Koch (OD’84) grew up in Northeast Ohio, attended The Ohio State University College of Optometry and moved to Cleveland after his residency to start a private practice in 1987. After many years, he joined an ophthalmic group specializing in refractive and cataract surgery in Sandusky. 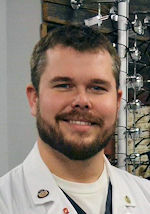 Now, as the owner of Columbus Eyeworks in Columbus' historic Short North District, Dr. Koch takes pride in his optometric practice and his community. He has been recognized by local publications for having the best eyewear in the city, along with a long-standing partnership with the Short North Arts District. After receiving his first pair of glasses and contact lenses at age 12, Dr. Brian Burke (OD’90) became interested in optometry because “the reward of corrected vision had a profound impact” on his life. 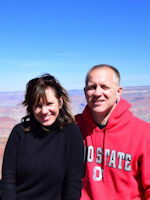 This proud Buckeye “residing in SEC country” in Dawsonville, GA, enjoys a thriving private practice, rewarding community volunteer work, adventurous hobbies, and most of all, being a father to two adult daughters he raised to be true Buckeyes fans. As the son of a dentist and someone who never had to wear glasses or contact lenses, Dr. Greg DeNaeyer (OD’98) did not have a lot of exposure to optometry growing up. However, with an interest in science and the health care industry, he soon discovered an interest after meeting a friend of his father’s who was an OD. Now practicing at Arena Eye Surgeons in Columbus, OH, Dr. DeNaeyer is busy providing specialty contact lenses, preparing lectures, and writing articles for Contact Lens Spectrum. Dr. Bob Layman (OD’82) wanted to become an optometrist because of the opportunity to make a difference in the quality of life for his patients, and that's exactly what he is doing today. Now living in Toledo, but practicing in both Ohio & Michigan, he believes that Ohio State Optometry was, in his own words, “the gateway to a rewarding career, rich with relationships and economic opportunity that has been far beyond anything ever imagined.” This proud Buckeye is celebrating his 35th class anniversary this fall! As the seventh optometrist in his family, Dr. Joe Studebaker (OD’87) felt a sense of pride in continuing their legacy at Ohio State. With an interest in physical sciences and astronomy, combined with seeing his father Dr. James Studebaker (OD’77) enjoyinghis work, Dr. Studebaker decided to pursue optometry over medicine (he was accepted to both following undergrad at Ohio State). As a recent addition to the Dean’s Optometry Alumni Advisory Board, Dr. Studebaker is excited to serve alongside an active group of engaged alumni to better serve the college’s vast initiatives. Learn more about Dr. Studebaker and his Ohio State Optometry experience in this month’s Alumni Focus! Dr. Kris Kerestan Garbig (OD’90) says she chose to pursue optometry as a career because it allowed her to care for and positively enhance the lives of others. Living in Kentucky and working in private practice with her husband Dr. Doug Garbig (OD’87), she is proud to boast Buckeye pride in a state that is considered “UK blue.” Each year, she looks forward to attending SECO in Atlanta to reconnect with other Buckeye Optometrists and this year, she is coordinating an alumni gathering at SECO, so mark your calendars for March 1 – 5.